The Central government launched the Initiative for Nutritional Security through Intensive Millet Promotion (INSIMP) in 2011-12 to promote millets as “nutri-cereals”. The scheme aims to catalyse increased production of millets in the country. In doing so, it aims to enhance India's nutritional security. The scheme proposed to bring 0.5 million hectares (ha) under millet cultivation. Prima facie this is laudable. India has witnessed a 60 per cent decline in the area under millets since 1960s. What made up nearly 50 per cent of the total national cereal production has virtually been squeezed out of the agricultural scenario. The food policies pursued over the years have pushed many people away from millets despite it being more nutritious than rice and wheat. Thus, any attempt to bolster millet farming and consumption is welcome. A key feature of INSIMP is giving input kits, comprising urea and pesticides; costing Rs 2,000-3,000 depending on the type of crop; and seed kits, comprising hybrid seeds to the farmers. These kits are supplied by nodal agencies in a state, and are, in turn, procured from various manufacturers. The other key aspect of the scheme is the post-harvest handling of millets, involving establishment of units for processing and value-addition. Composite millet processing centres, costing Rs 4,00,000, that handle de-stoning, de-hulling, flaking and rava- making, are to be established across the country towards this end. All seems to be well. So, why this critique? Millets are among the oldest food grains. For generations, farmers have been cultivating millets using mixed-farming techniques. In Medak, Andhra Pradesh, farmers grow 15 to 30 varieties of crops on a piece of land, including various millets, a range of pulses and uncultivated foods. Such a system affords the communities’ diversity of food, fulfils nutritional needs and has an in-built characteristic of risk-mitigation, for it ensures that even under adverse climatic conditions a few crops would survive, and ensure that the farmers have something to eat. Such mixed farming systems are present across the country and each system has evolved in keeping with different agro-climatic conditions prevailing in a given region. Being endemic, such systems can also cope with local pests better. In fact, cultivation of millets under such systems does not require the application of pesticides. Millets are grown mostly in the arid, semi-arid and hilly regions. In most cases, they are grown on harsh, unirrigated land. Recent data indicates that between 9 to 15 per cent of the total area under millets is irrigated. Further, millets can survive on poor soils, without requiring fertilisers. A survey conducted by Deccan Development Society (DDS) indicates that 97 per cent of the households did not use fertilisers for millets, despite the poor soil in their land; in fact, pulses in the mixed farming systems fix nitrogen in the soil and enhance its fertility. Contrast this with the country-wide average consumption of fertilisers that stands at 138 kg/ha. Despite the proven advantages of mixed-farming systems, INSIMP is trying to promote intensive mono-cropping of millets. Green Revolution style, high external-input agriculture is being advocated through this scheme and the use of chemical inputs is being promoted. There is voluminous scientific evidence to show that such methods are yielding negative results, what with poisoned soil, polluted and plummeting groundwater levels and mounting costs, especially for marginal and small farmers, having come to mark Indian agriculture. Even M S Swaminathan has acknowledged this, in calling for an Evergreen Revolution and the promotion of sustainable agriculture. Environmental costs apart, INSIMP threatens to undermine the traditional wisdom of the farming communities. Farmers in India have been growing millets for generations. In doing so, they have been conserving traditional landraces of millets and pulses that are endemic to the various agro-climatic zones. These landraces are embodiments of the generations-old knowledge of our farming communities. Now, INSIMP pushes for the extensive use of exotic seeds; thus ushering in the hegemony of one form of knowledge over other time-tested ones. This would undermine the food and farming sovereignty of rural communities by increasing their dependence on markets and agricultural extension services. The argument in favour of these seeds is that of high yield-rates. However, in a recently conducted survey by DDS, mixed-farming fields showed an yield-rate of Rs 1,533 kg /ha, which is significantly higher than the national figure for HYV (high-yielding variety) jowar (Rs 1,446 kg/ha); and the yield rates in INSIMP-units for jowar, in Ananthapur and Mehaboobnagar, that stood at 1,340 kg/ha and 1,035 kg/ha, respectively. This proves that millet-based mixed farming can hold its own, even in terms of productivity. Another key aspect of INSIMP is of processing. The focus, through these units, is to promote flakes, rava and other products that have a clear urban bent. When these products hit the shelves in the urban markets, they are priced at a premium, taking them beyond the reach of most ordinary consumers. This is tragic, because millets can play a salutary role in mitigating hunger and malnutrition, which have been on the rise in India (mainly in the rural pockets), if appropriate policy-environment is created. The other point demanding scrutiny is that of setting up centres of excellence for designated crops. Each centre has been identified in Hyderabad, Bengaluru and Hisar, to look into jowar, finger millet and small millets and pearl millet, respectively. This is symbolic of the world-view informing the entire scheme. Throughout the country, farmers grow various millets together; fields in Medak, for instance, comprise of several varieties of jowar, little-millet, foxtail-millet and finger-millet. Few would grow one millet. Yet the scheme proposes to look at each millet in isolation. This is completely antithetical to the guiding philosophy of millet farming. In light of these arguments, there is a need to revisit INSIMP. Firstly, millets should not be seen in isolation; mixed-farming systems comprising millets and other crops should receive support under the scheme. Further, organic practices, wherein farmers use inputs like bio-pesticides, farmyard manure and vermicompost should be supported under the scheme, as should, the use of traditional landraces. Under the current scheme, various inputs are purchased from private companies and distributed to farmers. Instead, in cases where farmers use their own inputs, a sum equivalent to that given to the companies should be given to them. This would be a big boost to the farmers who repose their faith in their traditional knowledge and would contribute to the strengthening of these knowledge systems. Another suggestion is to involve farmers in planning and executing INSIMP. Currently, we have bureaucrats, entrepreneurs and NGOs discussing the scheme; it is time to involve the most important stakeholder—the farmer—in all deliberations. One could consider open-house consultations with farmers, at state, district and mandal, and perhaps, even panchayat levels, before commencement of the agricultural season, so that their views are taken on board. This would be a radical departure from the way the scheme is being implemented at present. Finally, the focus of this scheme is to promote nutritional security in India. This cannot be achieved by positioning millets as niche food catering to the urban elite. Steps should be taken to encourage farmer-led markets, along the lines of Raitu Bazaars of Andhra Pradesh, where they can sell their produce directly to consumers. Similarly, local, farmer-led, processing centres would enable the availability of processed millets at a reasonable price within the villages. A common, and valid, criticism of the manual processing of millets is that it is difficult, and imposes drudgery on women. 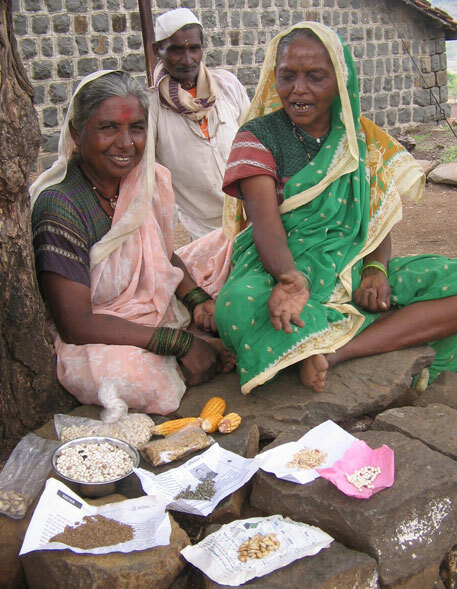 One could think of supporting manual processing of millets through MGNREGA; this would provide women with a viable source of livelihood and, at the same time, further localise millet-processing. Most importantly, the government should take steps to introduce millets in PDS and other government food programmes. This would help rural communities have better access to this nutritious food. It is clear that INSIMP in its current shape is detrimental to millet farming. There is need to deliberate upon the scheme more thoroughly and to shape it in a way that it is alive to the concerns of the farmers and to the ethos of millet farming itself. 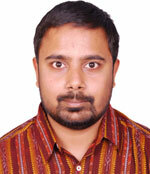 K Sandeep is program coordinator at Deccan Development Society. Interesting article .. i feel that the government while deliberating on the scheme should also highlight the role that women can play in the traditional farming systems and production of millet. It was a nice overview on the INSIMP and thanks for your thoughts on the project. I would appreciate it if you could give required material like FYM and vermicompost per ha when replacing chemicals. We are implementing a INSIMP in one cluster at Dumbriguda along with dept this year and we have convinced JDA to use only organic fertilizers instead of chemicals, so JDA agreed but he wanted to get permission from commissioner of agriculture. That is the logic. But farmers never lose their time. Thanks for the article. Your views are extremely powerful and it exposes the mischief mind of agriculture department/agril. university etc to promote products of companies whose use will put farmers into perpetual poverty and dependency on external inputs. It is time we wake up with demand to close these agri varsities who are acting as key advertising agencies for input supplying companies. ICAR needs to be scrapped like the planning commission. It is a timely analysis so as to draw the attention of policy makers and the programme/ project managers. Otherwise, these types of intervention would do more damage than the revival of millet cultivation. Millets are considered as natural crops. Their promotion should be on the lines of its traditional cultivation practices of mixed cropping without any chemical inputs.